Amongst all the bad press that is circulating about the poor service managing agents provide, at Block Recruit we felt it was time for a change. We hear every day about the amazing service managing agents are providing to their clients and it should be celebrated! Introducing #LeaseholdChampions. "Property Manager, Associate Director, Pre-sales adviser, Chief Software Tester, not to mention a regular out of hours Agony Aunt to her clients - it's no surprise that colleagues from across all the teams here at Alexandre Boyes often comment that Keren must have 48 hours in her day. Keren’s dedication to her clients is well noted by everyone who works with her. It is largely through recommendations from her existing clients that Keren has so successfully grown the Alexandre Boyes Block Management Division, from 30 small blocks to 106 blocks, in the last two years. Thanks to Keren and her incredibly high professional standards, Block Management is the fastest growing area of our business. It also goes some way to explain why Keren is often invited to Sunday lunch by some of her Directors! That's how closely she builds relationships with her clients. Keren was bitten by the property management bug 17 years ago following a temping stint with a London agency. Anyone who has known her throughout that time will tell you that she is as driven and committed as ever. Ask Karen what motivates her and she always gives the same response. 'Property is likely to be someone's most significant investment. Being given the responsibility to look after and enhance that asset is a privilege and something to take great pride in'. Whether assisting emergency services with serious crime investigations, or taking a call from a leaseholder asking if maintenance could come and change a toilet roll (that happened this week! ), Keren deals with every situation in the same way - with calm and steady professionalism. Along with providing strategic advice to clients and day to day block and financial management, Keren has also been instrumental in the development of Resident, our online block management portal that provides transparency and enhanced efficiency to directors and leaseholders. With her extensive professional qualifications and practical expertise, Keren's insight has been invaluable in creating such a practical and easy to use platform. Keren is one of the most committed property managers in the field today – Alexandre Boyes is very lucky to have her." 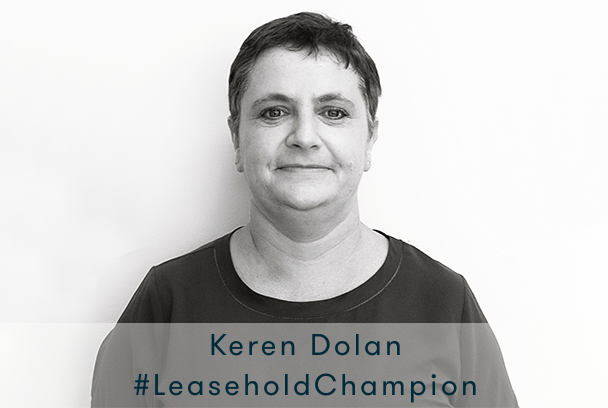 Do you have a #LeaseholdChampion in your team? Get in touch today!